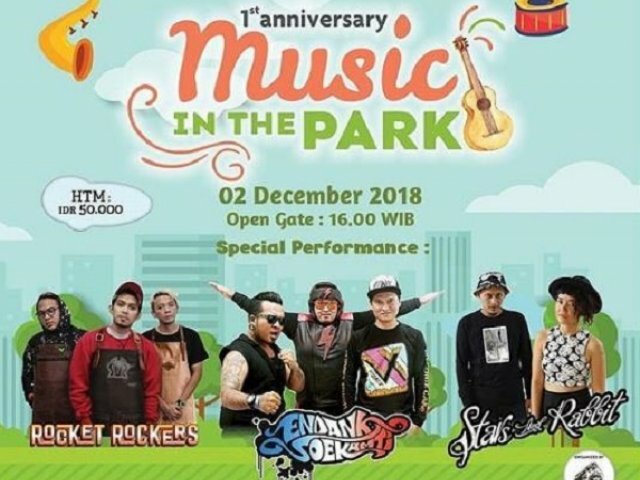 Let's celebrate the 1st Anniversary of Music In The Park 2018! And also performance by Endank Soekamti, Rocket Rockers, Star and Rabbits. Get the ticket at BXc Mall Management Office LG Floor, starts November 26th 2018 or on the spot starts 4 PM.